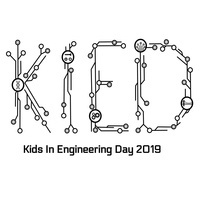 The UAB chapter of the Society of Women Engineers (SWE) will host its annual Kids in Engineering event during two days in February. Students in grades 4-6 can choose either February 16 (8 A.M. - 3 P.M.) or February 23 (8 A.M. - 3 P.M.). A maximum of 60 students can be hosted per day, so please register soon to guarantee your spot! As in years past, participants will take part in a variety of activities and competitions designed to provide insight into different types of science, technology, engineering and math (STEM) concepts.